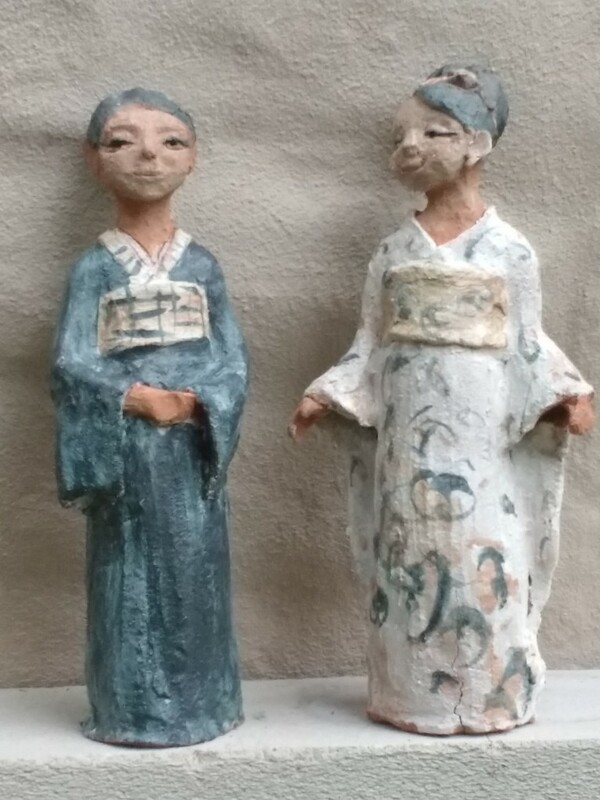 To date I have been inspired to make 2 small series of work – but there is a lot more which may still surface! 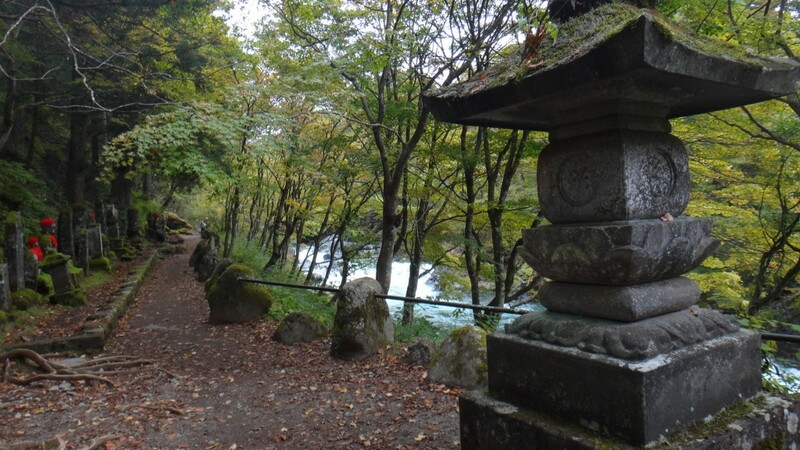 At the end of the tour I travelled to Nikko,up in the mountains and famous for its World Heritage temples and its lakes in the National Park. I loved all of these sights, but on the third morning, before my rain was due to leave I found myself in a magic place. Kanmangafuchi Abyss (憾満ヶ淵) was formed by an eruption of nearby Mount Nantai. s also known for its row of about 70 stone statues of Jizo, which are lined up in front of a wall and stretch a hundred meters or so, looking down upon the Daiyagawa River. 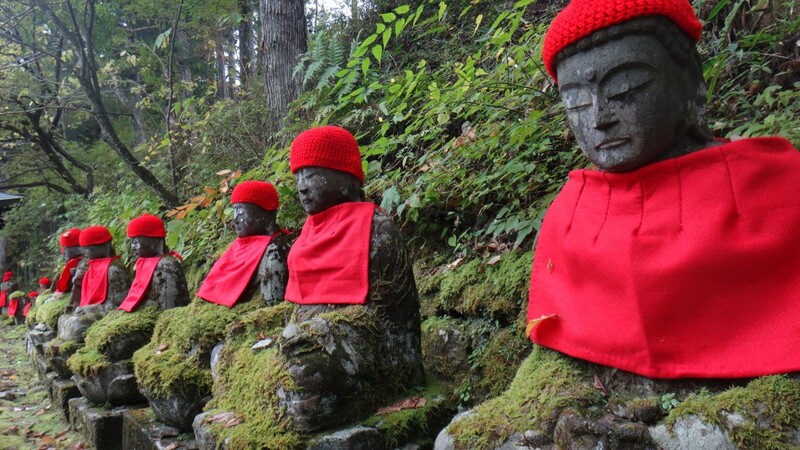 Jizo are the protectors of the souls of travelers and unborn children. 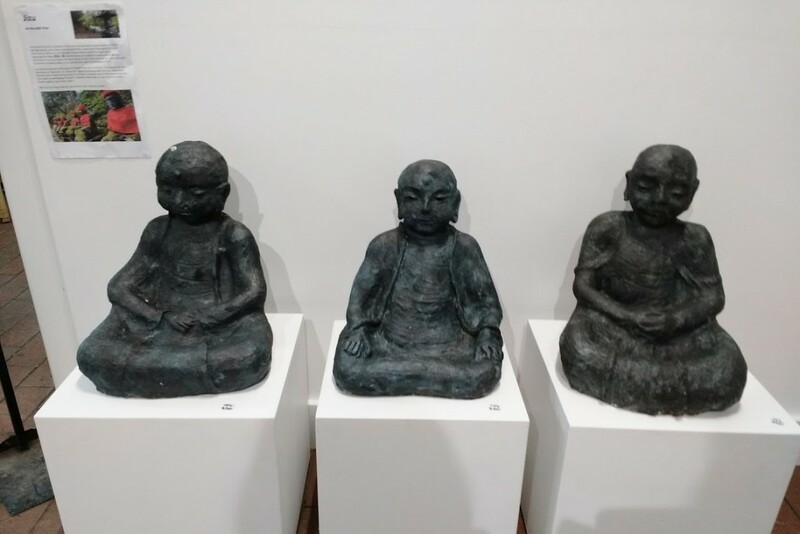 The statues here are also known as “Bake Jizo” or “Ghost Jizo” apparently because each time you count them, the total never comes out the same! Or perhaps it is because some of the statues have lost their heads (in earthquakes? floods?). 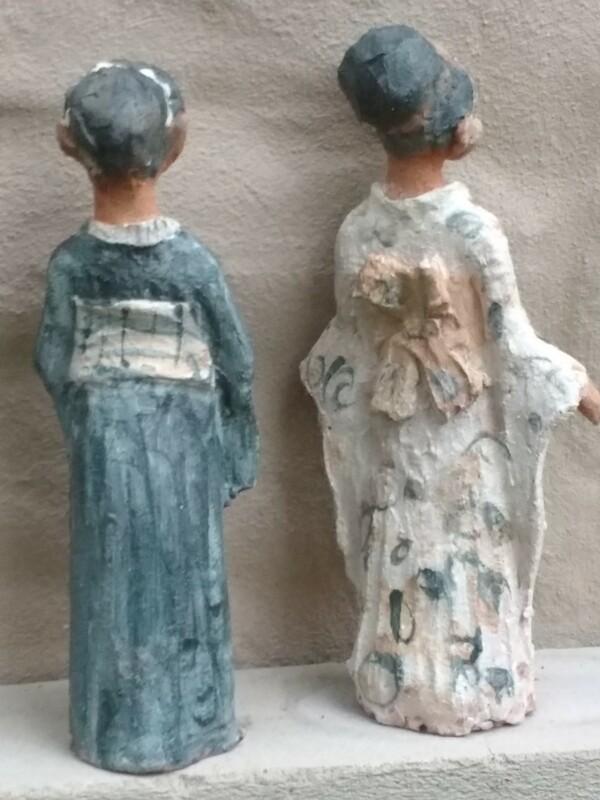 However, those heads sit next to the Jizo bodies; forever together, but forever apart. 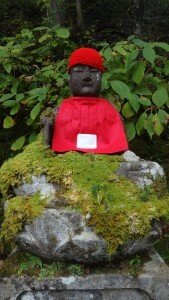 After the trip I have made my own series of Jizo – but only 3 so far! 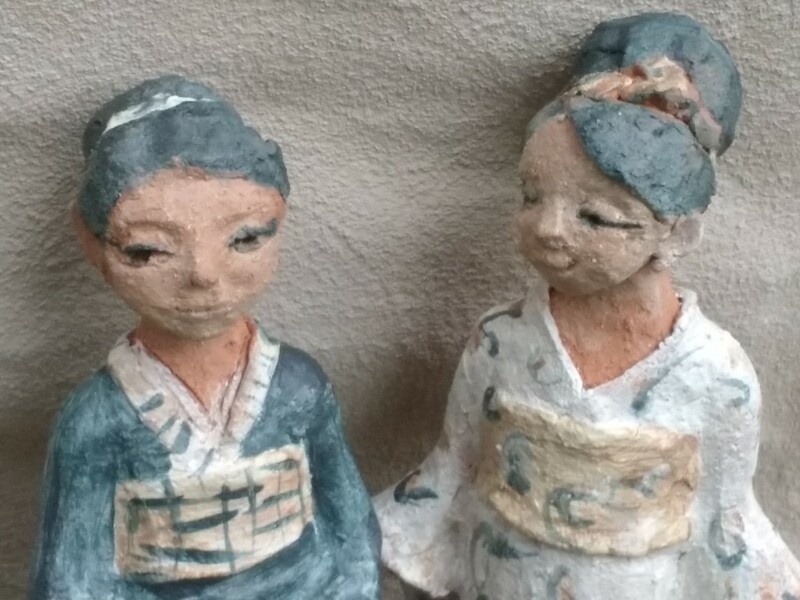 I was taken with the traditional kiminos and the Japanese women who wore them – from the geisha in Kyoto, the many Japanese girls and women on holiday in Kyoto getting photos taken wearing traditional dress, to the hostesses of traditional houses, to the “fashion parade” at the fabric centre, to some older women. 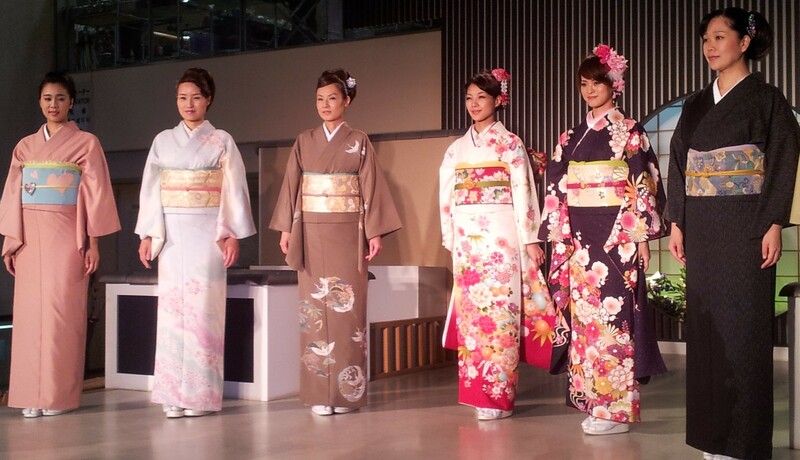 They are in contrast to the very contemporary and modern vibe which is found in Japan. But both demonstrate a Japanese sense of design and quiet confidence.